Jammu: Facing tremendous hardships due to migratory way of life -the Gujjars of Jammu and Kashmir -today stressed upon the government to conduct a comprehensive survey on the socio-economic status of nomadic and semi-nomadic tribes of state and include them in ‘Below Poverty Line’ category wherever they qualify on the merits under the scheme. The community members were speaking in a programme orgainsed by Tribal Research and Cultural Foundation held here on the topic ‘Economic Issues of nomadic tribes of Jammu and Kashmir -with special focus on Gujjars , Bakerwals’. The event was presided over by noted Gujjar scholar Dr. Javaid Rahi while it was attended by the tribal students, scholars and elders. Dr. Javaid Rahi in his presidential address stated that it is extremely unfortunate that a large number of nomadic and semi-nomadic tribes had remained out of the purview of social security schemes launched by Government of India and the state government from time to time due to lack of awareness amongst them. To address these issues, an exclusive socio-economic survey of nomadic and semi-nomadic community be conducted , he said . He further suggested that ground measures are required to enrol nomadic and semi-nomadic Gujjars and Bakerwals after an exclusive survey which in result enable tribal to get social security schemes and grant of BPL and other mobile cards. He stressed, that an exclusive survey on the issue of ‘access of tribes to health services’ is also required to address their health issues including women and child health , malnutrition, immunization, elders health and others ailments. He said initiatives are required to tackle fast growing problem of TB among nomadic tribes as they use low height houses and share their habitat with their animals. Speaking about drop-out rate which extremely high among nomadic Gujjars and Bakerwal school going children he said tribal children, who had remained out of schools must be taken back to the fold of education system by utilising the funds available under the Sarva Shiksha Abhiyan and other schemes. 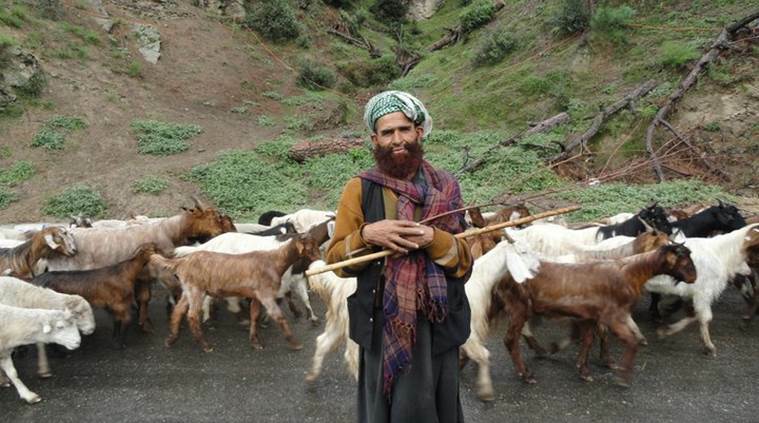 Regarding animal healthcare- he said , animal are related to livelihood of nomadic tribes and semi nomadic tribes.Their healthcare must be made a thrust areas for tribal development he said and added a survey is required to address the key problems of animal viz a viz tribes and he added that these sectors are to be prioritised. Those who spoke, included Ishtiaq Choudhary, Naveed Chowdhary , Choudhary M Amin , Ch. Majeed , Kher-ud-Din Chowdhary, Noushad Chowdhary and others.